It’s hard to quantify Alan’s influence, but it’s safe to say that it’s wide ranging and is undoubtedly deeply ingrained in songwriting lore. When Noel Gallagher put together a CD of his biggest influences a couple of years ago, We Can Swing Together was on there. Elvis Costello has been quoted as saying Winter Song is the best song ever written. Death Cab For Cutie cite Alan’s solo album Pipedream as one of their top ten records. For the brave and adventurous listener, there’s even a Def Leppard cover. At the back end of last year some of Alan’s songs were being sung by thousands in a completely different environment, as part of the Christmas Shows by a new version of Lindisfarne, demonstrating further the wealth and diversity of the material he left behind. For those not in the know though, much of his best work remains undiscovered, and his family and friends have decided it’s high time that this injustice is corrected. Passing this kind of work on isn’t as easy as it may sound. What do you do with a song? Literature, visual art and classical pieces can be written down exactly, but even a studio recording of a song lacks something. The decision was made by Dave Hull-Denholm and Ian Thomson that only performances would keep these songs alive. Alan’s gigs were as much about telling stories and making the audience a part of the work as the songs themselves, and this had to continue. 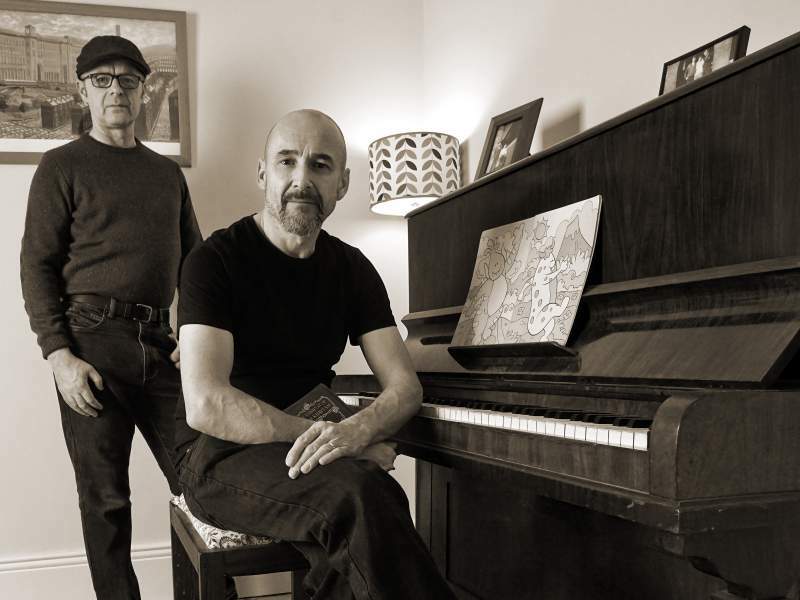 Dave and Ian had already been approached to perform some of the catalogue at folk clubs and tribute nights, but then a discovery made the project even more essential. Dave, Alan’s son-in-law, was working with him towards the end of his life on what became Statues And Liberties, his final album. He was given the unenviable job of clearing out the studio where Alan worked. “There were all sorts,” he tells me, “instruments, equipment and recordings.” Among the things he discovered was a box of tapes, all recorded between 1967-69, many of them labelled with unfamiliar titles. The songs had been recorded at Newcastle’s Impulse Studios, managed by impresario Dave Wood. They had been laid down as a permanent record of Alan’s writing at the time; not particularly for posterity, but to protect the work for future publishing. Some even had suggestions of who Alan may sell them to marked on the boxes, with potential customers from Badfinger to Elvis. Ian took on the task of transferring the tape to digital, and soon realised the wealth of material that was there. “We suddenly realised that Alan was twice as prolific as anyone had thought,” he tells me. The process took months and eventually yielded around sixty unreleased, unheard songs, as well as proto-versions of future classics such as Winter Song. Before rock ‘n’ roll, Alan had been hugely influenced by classical music, and the melodic subtlety and complexity of the songs stands in stark contrast to the later public perception of Lindisfarne and the humble recording conditions. Dave and Ian decided to breathe life back into these songs in the only way appropriate, by taking them to an audience. “It fits in with the whole idea of passing things from one generation to the next; to do that, you perform it. That’s the way it’s always been for a reason. It’s simple, it works.” says Ian. The public reaction has been huge, and two shows at Newcastle’s Mining institute in February sold out in a matter of days, prompting extra dates to be added. The lads are very excited about the shows, and even they were surprised by the huge response. They plan to record the live events, hopefully for release in the near future. The decision to record live was the only sensible one, they say, and it’s in keeping with the nature and tradition of Alan’s work. A huge driving force for the project is not only to promote the work to the public, but also Alan’s family, and I’m told that Alan’s widow Pat is delighted with the project, something she thought she might not see in her lifetime. The upcoming shows promise to not only be essential for Alan’s existing fans, but for anyone who is interested in the craft, the history and the future of songwriting. 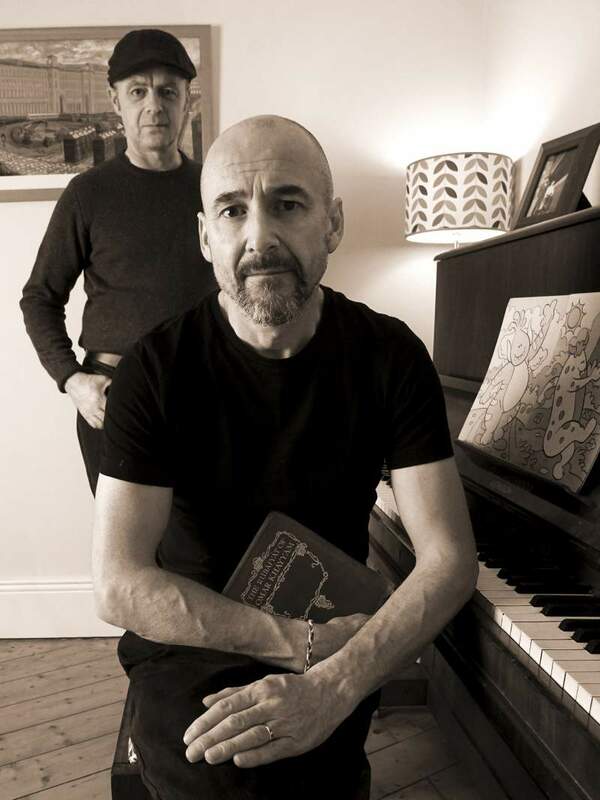 Dave Hull-Denholm and Ian Thomson perform The Alan Hull Songbook at Newcastle’s Mining Institute on Friday 20th, Saturday 21st and Sunday 22nd February.